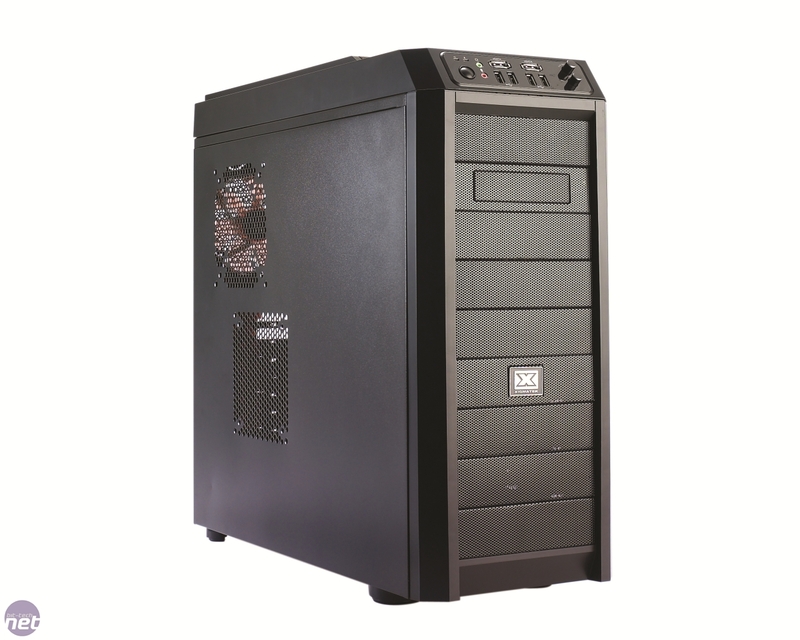 It can be quite difficult to get exited by the release of a new mid-tower cases these days. There's an awful lot of tat out there that tries to lure you in with flashy looks or useless giant fans, both of which should be a long way down your shopping list if your at all concerned about properly cooling your PC. However, one or two cases do come through our lab that make us sit up and pay attention be it for fantastic value, cooling, features or looks (we can always hope for a combination of these things). 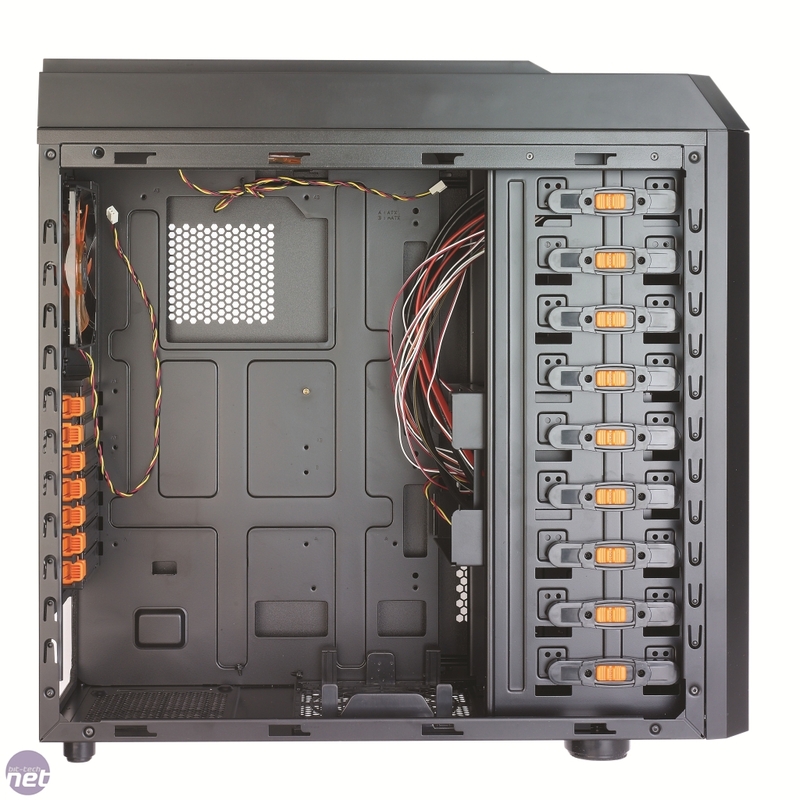 Cooler Master's CM 690 II Advance is a case in question. 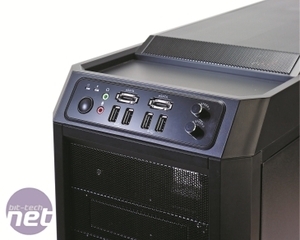 It provides great cooling potential, plenty of features and customization and costs a fair bit less than £100 too. 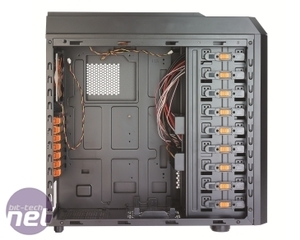 The Utgard is the first case we've seen from Xigmatek, a manufacturer fairly popular in the world of cooling. It's slightly mystifying name stems from Norse mythology, specifically the realm of the giants. However, there isn't anything particularly imposing about the Utgard case. It stands 51.5cm tall, which is only 4cm taller than the CM 690 II - it's a fairly conventionally sized midi-tower case. If you know your cases, you might well have noticed the similarity between the Utgard and the Antec Nine Hundred Two, but the Utgard isn't just a simple clone. They might share the wing-like front fascia, angled front panel and mesh drive bays, but there are tweaks and differences with the Utgard - it uses smaller hole mesh on the front, and the top section is different to the Antec, with a large removable mesh section enclosing a 170mm Xigmatek exhaust fan (more in this section in a minute). The side panel is window-free, which is a little bit of a shame as the rear Xigmatek XLF-F1253 120mm fan is one of the best looking fans out there, with a white LED lighting up the orange blades brilliantly. However, you do get two 120/140mm fan mounts on the side panel, which sit above the positions of the CPU and graphics card: cooling one, aesthetics nil. The front panel appears a little ungainly at first, but is actually extremely functional. 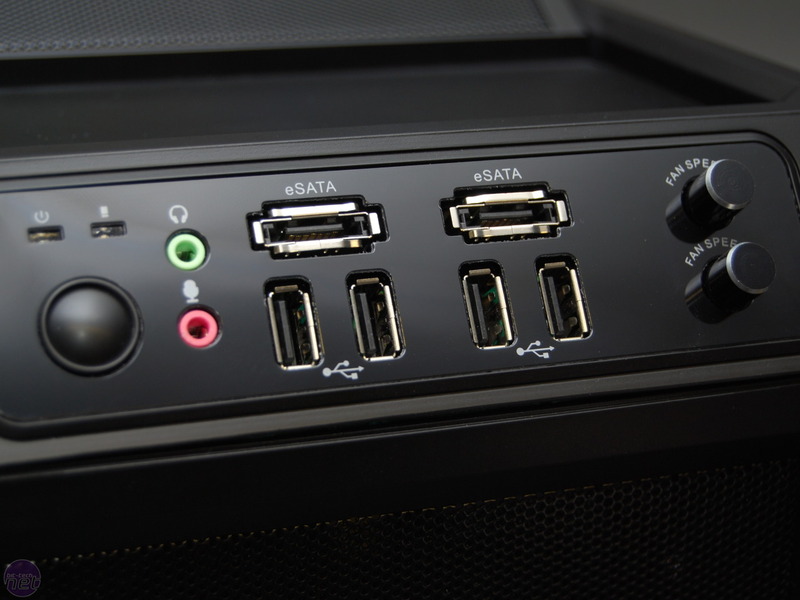 Not only do you get a generous four USB 2 ports, but there's also two e-SATA ports, microphone and headphone sockets and something we really like - a two-channel fan controller. This, along with the rest of the case, feels very sturdy and well built - as two-channel fan controllers cost around £10, it's a great inclusion on this sturdily made £70 case. 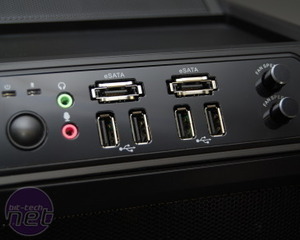 What's more, Xigmatek has included a three-way 3-pin fan splitter cables for both channels, so you're able to connect up to six fans and control three on each channel via the dials on the front panel. One weird thing we spotted here was that the dials worked in reverse - increasing fan speed if you turned them counter-clockwise. But hey, they work. Plenty of features, a robust chassis and sensible design all for just £50. The massive Phantom 820 costs £200. Can its feature set and performance justify this expenditure? 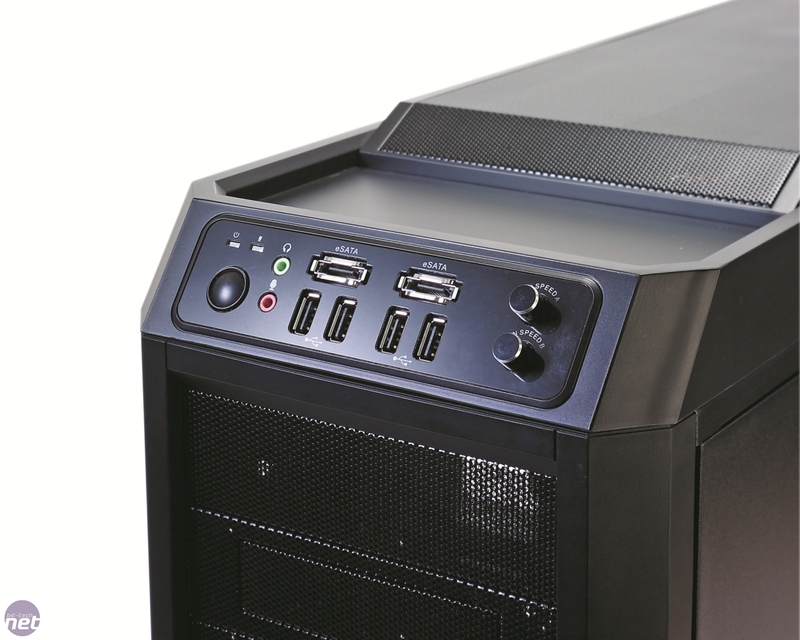 Aerocool's latest offering aims to keep your hardware cool on the cheap, but can it?